Although Singapore company setup figures has declined over the past two quarters and on the back of a slowing global economy, Singapore company incorporation specialists Rikvin affirms that registering a Singapore company is a good option for the long run. The latest data from Singapore’s Accounting and Corporate Regulatory Authority (ACRA) reveals that Singapore company incorporation activity has declined by 3.6% in between Q2 and Q3 2011. The figures further deteriorated by 7% between Q3 and Q4 2011 and only 12,952 Singapore firms were registered during the last quarter of 2011. Over the past decade, Singapore’s biomedical sciences sector has grown significantly. Data from ACRA shows that the sector mushroomed from 17 companies in 2000 to 377 companies in 2010. According to the Singapore Indian Chamber of Commerce and Industry (SICCI), there were approximately 5,000 Indian companies in Singapore in 2011, up by 1,000 since 2010. 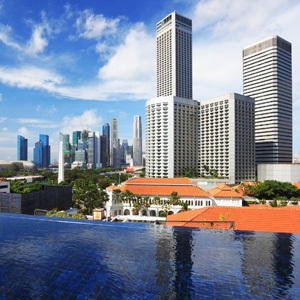 Additionally, recently published data by the Singapore Economic Development Board (EDB) reveals that Singapore has continually seen an increase in fixed asset investments (FAI) year-on-year. In 2011, Singapore received S$13.7 billion in FAI, up from S$11.8 billion in FAI in 2009. Analysis by Rikvin shows that some entrepreneurs opt to push on and start a Singapore company even in uncertain times because they recognize the long term benefits of investing through Singapore. In terms of dollars and cents, companies, especially those with subsidiaries, have greater potential to save significantly as they grow by registering in a low tax regime such as Singapore. Rikvin has recognized five features of Singapore corporate taxation that continually attracts businesses and investors to set up in the global Asian city – 1) low corporate taxes, 2) Productivity and Innovation Credit claims, 3) extensive network of tax treaties, 4) absence of capital gains tax and 5) no thin capitalisation or Controlled Foreign Corporation regime. At 17%, Singapore’s corporate tax rate allows a spectrum of firms ranging from start-ups to holding companies to operate at a low cost. In the assessment year 2012, Singapore firms are set to benefit from a partial tax exemption scheme on the first $300,000 of chargeable income while eligible start-ups may qualify for full exemption. A holding company that is headquartered in Singapore may stand to enjoy lower corporate tax rates as well. The updated PIC scheme grants every Singapore firm a 400% tax deduction on the first S$400,000 invested in six productivity-enhancing and innovation activities. As demonstrated in Rikvin’s PIC Claims Chart, Singapore firms that plan their productivity and innovation strategies ahead of time could potentially reap up to S$9.6 million in tax savings on their annual taxable income. Singapore firms stand to benefit from the nation’s extensive network of tax agreements. Singapore has to date established 69 comprehensive and seven limited Avoidance of Double Tax Agreements (DTAs). The Mutual Agreement Procedure (MAP) and Advance Pricing Arrangements (APA) provisions in Singapore’s DTAs in turn assure Singapore companies reduced taxes as they expand or conduct business across borders. Singapore’s DTAs also have positive implications on the amount of payable withholding tax on inbound and outbound dividends. Singapore firms that receive dividends from their overseas subsidiaries often pay reduced withholding taxes in Singapore. Alternatively, if those dividends are taxed in the source jurisdiction and have a corporate tax rate of at least 15%, then those dividends are exempt from taxes in Singapore. Outbound dividends are exempted from withholding tax in Singapore. Many DTAs accord and honor the taxing right of a parent jurisdiction. In the case of Singapore, capital gains are tax exempt. Therefore, Singapore holdings may repatriate overseas capital gains without being liable for taxes in Singapore. Singapore is not a CFC regime. This in turn benefits Singapore holdings as the profits of their foreign subsidiaries will not be subject to Singapore tax. Singapore also does not have any thin capitalisation rules as it is a high-risk business strategy that could have a disastrous ripple effect for businesses and regional economies. The absence of the thin capitalisation rule assures businesses that Singapore is a stable place to do business. “These tax features are designed to keep Singapore attractive as a business setup location for the long haul. Furthermore, during the recent World Economic Forum (WEF) talks, Prime Minister Lee Hsien Loong confirmed that Singapore’s upcoming Budget will remain committed to sustaining Singapore’s long-term competitiveness. Rikvin anticipates positive amendments that will complement these tax features and further buoy businesses through this year,” added Mr. Bakhda.